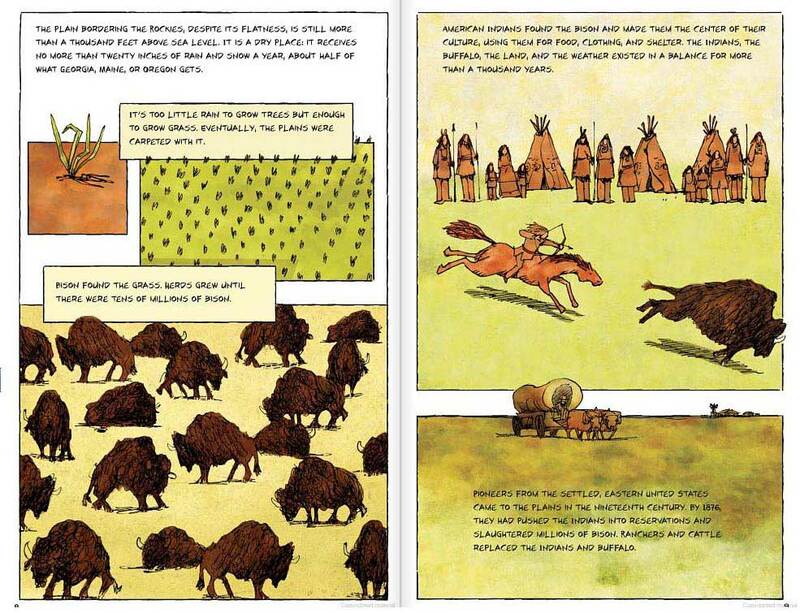 In a graphic novel format, Brown tells the complete story of the Dust Bowl. 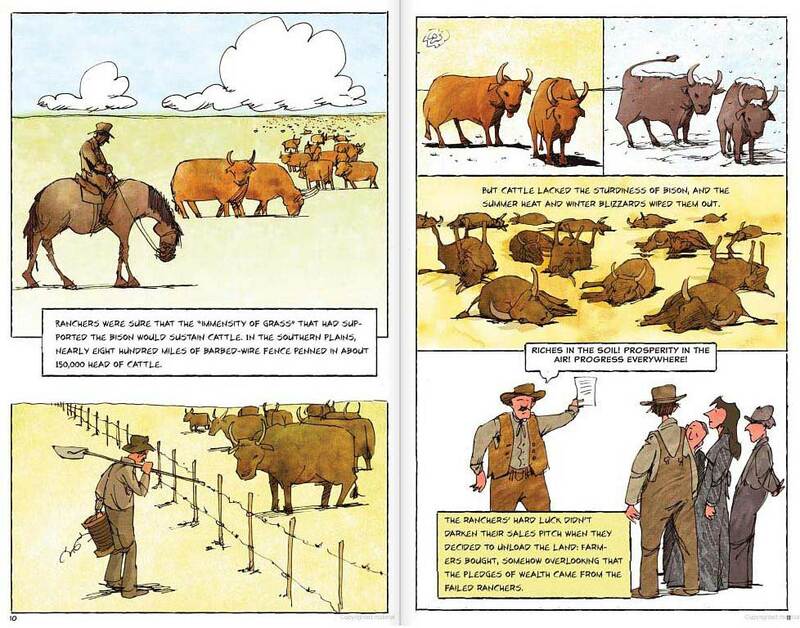 He starts by explaining the ecology of the Great Plains and the history of early land use (buffalo, Native Americans), then moves on to explain how ranching and farming exhausted the soil, plus other significant events (ie World War I food shortages) built upon the pending disaster. 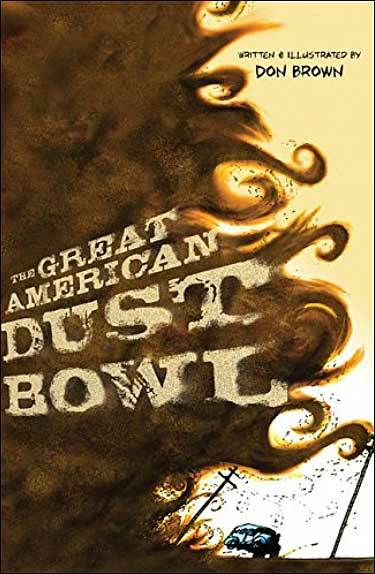 Once the foundation is set, Brown compelling shows what life was like during the Dust Bowl. Small details of daily life are brought to life in his comic-style panels. 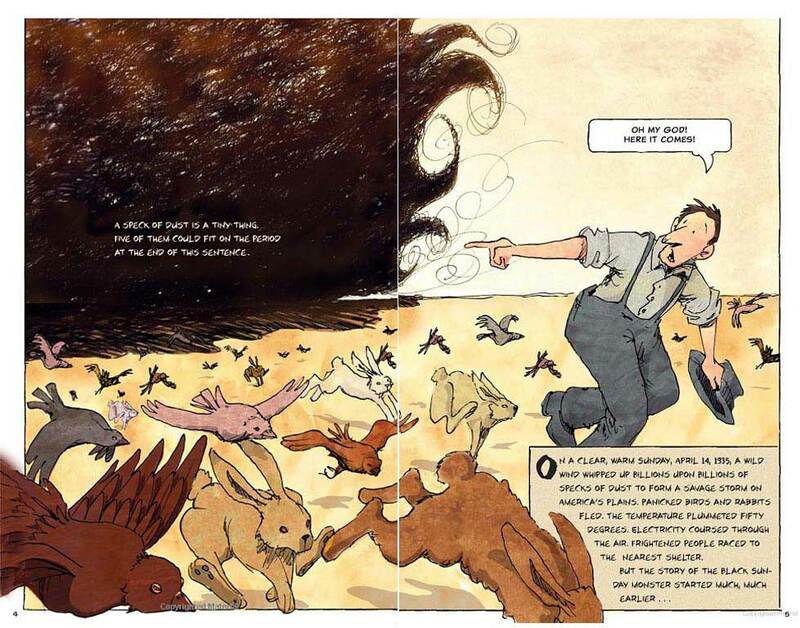 We particularly like how, in spread after spread, Brown is able to show the many, many, many challenges (even plagues!) that Dust Bowl residents faced...but without creating that 'unrelenting list' feeling that some books engender. Readers will stay engaged, and leave this book in awe at what residents had to endure! This book got GLOWING reviews from the major book review agencies. Many are listed on Amazon. Many are "starred reviews" and words like "magnificent" and "compelling" and "enticing" pepper the reviews. This book is a classroom must! Below are sample spreads from inside this book. Such great illustrations!